ORLANDO, Fla., October 11, 2018 – Nathan Morris, of the Grammy-winning music group Boyz II Men, has another hit production on his hands. Only this time, he’s applying his creative genius to a stunning home renovation. Starring in the new DIY Network series “Hit Properties with Nathan Morris,” the singer takes a 9,200-square foot Orlando estate in need of some TLC, and transforms it into a magnificent modern estate. Located at 9137 Sloane Street, the property is currently being offered for sale at $4.9 million. Peter Luu of Premier Sotheby’s International Realty’s Orlando office is the exclusive listing agent. Originally built in 1996, the home is situated on 1.26 acres, featuring five bedrooms and six-and-a-half baths. Throughout the series, Nathan is a hands-on remodeler who upgrades the residence with an abundance of luxury appointments. From a gourmet kitchen and two master bedroom suites to a resort-style pool and remote-controlled toilets, the finished product will surely achieve celebrity status. The new four-part series premieres on the DIY Network on Saturday, Oct. 6, at 10:30 p.m. ET/P. The original home had great bone structure. One of the best parts of its transformation was the kitchen — which used to have a vaulted ceiling that was made into an office space and man cave. What used to be a 'Great Gatsby' house in the neighborhood is now going to be one of the premier homes in the area. “The original home had great bone structure. One of the best parts of its transformation was the kitchen — which used to have a vaulted ceiling that was made into an office space and man cave. What used to be a ‘Great Gatsby’ house in the neighborhood is now going to be one of the premier homes in the area.” — Peter Luu, Premier Sotheby’s International Realty. 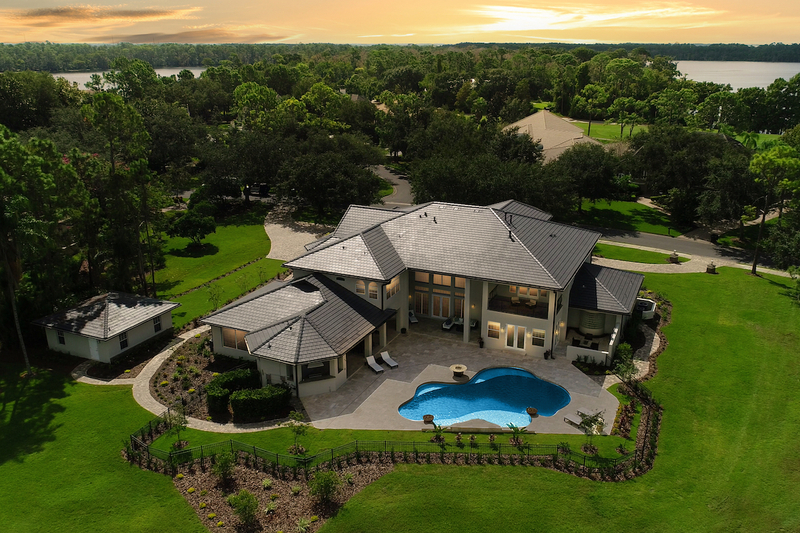 Headquartered in Naples, Florida, Premier Sotheby’s International Realty has over 1,100 associates and employees in 40 locations throughout Florida and North Carolina. Premier Sotheby's International Realty also benefits from an association with the storied Sotheby's auction house, established in 1744. For more information, visit premiersothebysrealty.com.